The Royal Courts of Justice, recently. The judge in the Post Office group litigation has issued an interesting ruling ahead of next month's trial. For the last five weeks the Post Office has been trying to get sections of the Justice for Subpostmasters Alliance (JFSA)'s witness statements struck out before the trial starts. That ended on 15 October with Mr Justice Fraser's ruling, which comprehensively dismisses the Post Office's application along with a suggestion that it was only made to stop some very dirty linen being washed in public. "I [...] suspect that in the background to this application the defendant is simply attempting to restrict evidence for public relations reasons.... Whether this “generates adverse publicity” for the defendant is not a concern of the court, as long as the evidence is properly admissible... which I have found it is. The court is not a marketing or PR department for any litigant, and the principle of open justice is an important one." The judge also reveals that the combined costs accrued by both sets of lawyers so far has now topped £10,000,000. Ten million quid! The JFSA are funded by Therium Capital Management. Therium will take a cut of any damages the Subpostmasters are awarded, and shoulder their costs if they lose. The Post Office is funded by you. And me. Assuming they are burning through cash at the same rate as the claimants that's £5m of your money they've spent defending this class action. And the trials have yet to start. One of the most striking things about the 20 page, 11,000 word document is not the ruling itself, but the world weary, exasperated tone the judge adopts throughout. "The legal advisers for the parties regularly give the appearance of taking turns to outdo their opponents in terms of lack of cooperation... it appears to me that extremely aggressive litigation tactics are being used in these proceedings. This simply must stop. It is both very expensive, and entirely counter-productive, to proper resolution of what is so far an intractable dispute. I made similar comments in judgment No.1. These must have fallen on deaf ears, at least for some of those involved in this case." If this epic saga is new to you, here's some background: the first trial in the Bates v Post Office class action (more correctly known as a Group Litigation Order or GLO) is due to begin on 5 November this year. Bates is Alan Bates, a former Subpostmaster at the Craig-y-Don branch in Llandudno who was sacked by the Post Office in 2003. After his sacking, Alan formed the Justice for Subpostmasters' Alliance, and it was under the JFSA banner that Alan rallied similarly aggrieved Subpostmasters to his cause. There are at least 561 claimants now signed up to the GLO by the JFSA's lawyers Freeths, and the first trial in November will feature evidence from six witnesses drawn from among the claimants. 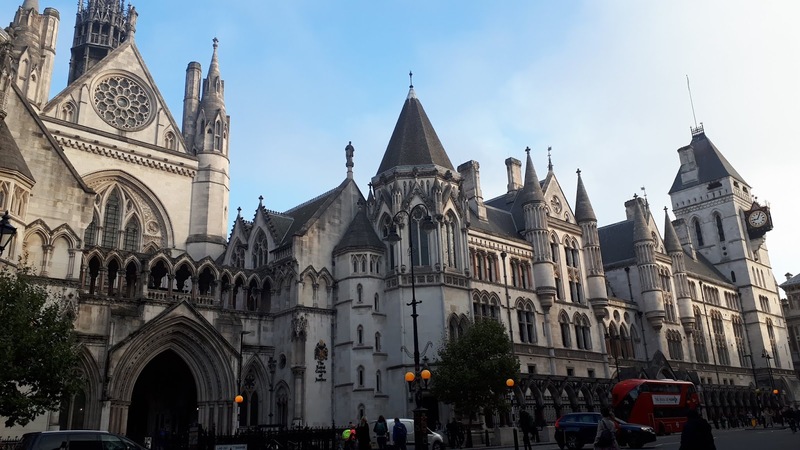 The trial will focus on the contractual relationship between the Post Office and its Subpostmasters and the judge is calling it the Common Issues trial. The second trial in March will deal with what might have gone wrong with the Post Office's Horizon IT system and that is being referred to as the Horizon Issues trial. The six "Lead Claimants" for the first trial have been chosen because what happened to them appears to be representative of what happened to many of the claimant Subpostmasters, with particular reference to the ways their contracts were handled (I suspect when it comes to the next trial on Horizon-related issues, a similar number of different "Lead Claimants" will be selected because their Horizon problems are representative of many of the problems wider numbers of claimants experienced). 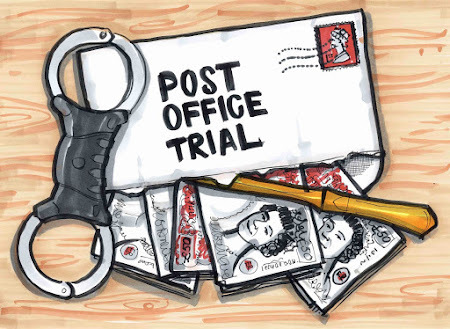 On 10 August this year the JFSA made the witness statements it intended to use at the first trial available to the Post Office (the defendant). On 5 September the Post Office made a formal application to strike out 160 paragraphs of evidence from those six witnesses and suggested to the judge that this could be dealt with during an already scheduled costs hearing on the 19 September. The judge refused, saying he thought there would be too much to get through on one day, and so scheduled a hearing to discuss the strike-out application on 19 October. "Extensive time at the trial... should not be spent arguing about what evidence should be admitted at that very trial." He notes the Post Office had relied "as one of the grounds justifying its strike out application, upon lack of time at trial. It would be rather circular to hear such an application relying upon such grounds at the very trial for which it was argued there was insufficient time." a) weren't relevant to the first trial, because they related to events which had nothing to do with the witnesses' contracts. "The application by the defendant to strike out this evidence appears to be an attempt to hollow out the Lead Claimants’ case to the very barest of bones (to mix metaphors), if not beyond." "[Mr Green QC - the JFSA's barrister] submitted in his written skeleton [argument] that the [strike-out] application “appears to be an attempt by Post Office to secure an advantage at the Common Issues Trial by selectively tailoring the evidence which the Court is to consider.” I accept that submission too; the application certainly gives that appearance." Over several thousand words the judge concludes the Post Office's application is essentially a load of piffle. He rules the evidence in the paragraphs which the Post Office wants struck out is indeed relevant to the GLO. He also notes the point made by the JFSA's barrister that the subjects and themes which the Post Office has taken legal exception to in the JFSA's evidence are remarkably similar to those relied on (at length) by the Post Office in its own defence. "would simply become unmanageable, and cross-examination would be constantly interrupted by regular repetitive objections by Leading Counsel for the defendant on the same grounds, again and again." "These submissions by the defendant could, on an uncharitable view, appear to be made almost as vague threats to disrupt the Common Issues trial." "The way in which Post Office senior management have dealt with our working group of MPs has been extremely high-handed. I share my right hon. Friend’s concerns: if Post Office management speak to Cabinet members and senior Members of Parliament in the way they do, the way they treat their sub-postmasters must be feudal." I wonder why he felt the need to say that? You can read the judgement in full here. As I say, it's quite interesting. Funded! And then some. Thank you. Wahey! Thank you to everyone who has backed the kickstarter campaign. It started with a target of £3000 and a lot of trepidation. 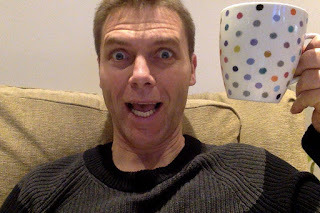 It finished with 237 backers and at least £9,322 pledged. This gives me the funding basis to cover both High Court trials. Extraordinary. A special thanks to those who, having backed this kickstarter themselves, continued to risk annoying their friends and followers by tweeting, forwarding and sharing almost every fundraising email and post I put out. That really meant a lot, and undoubtedly helped considerably. If you survived the relentless barrage of tweets, emails, linkedin, blog and facebook posts without vowing to never read another word I ever write, or avoid me in the street, I am as surprised as you are. Now the hard work starts. If you backed the kickstarter there's a lot of admin stuff coming your way so I can sort out your rewards. I'll also start to crank up this blog as the main forum for all things related to the class action, which I should probably start calling a "group litigation", as that's its correct title. Because I am divvying up the final crowdfunded total between two trials, and because the first trial (and therefore probably the second) is scheduled to run for 20 days over five weeks rather than four (spreading the kitty even thinner), I need to keep working on other commissions right up to the trial start date. All pre-trial and post-trial work will therefore be done in my own time. Right, I am turning in for the evening. Very happy, very grateful and possibly a touch emotional. Thank you again.